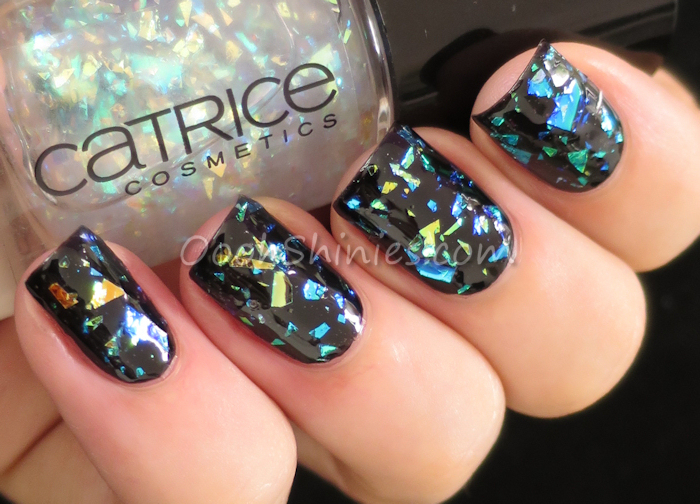 Essence Black Is back with Catrice Glitterazzi. The polish itself had a bit of a thick & gooey base, so I used an orangewood stick to place some extra flakes on my nails after applying a coat of the polish. I finished it with top coat to even that gooey base a bit, although I think it'll look better (thinner and smoother) when applying a thin coat of clear and manually placing all flakey bits and pieces. A lot more work though! 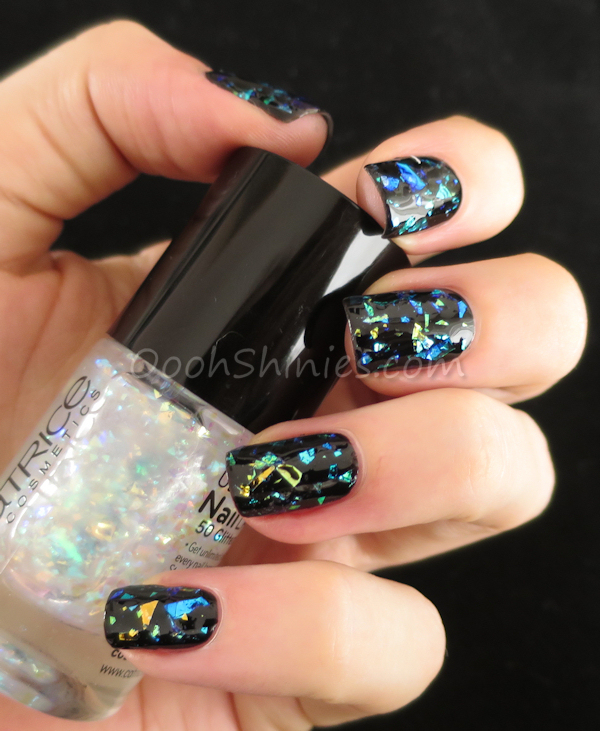 I've seen this kinda base in essence and Catrice polish a few times before, makes me a little hesitant to get more of their glitters. 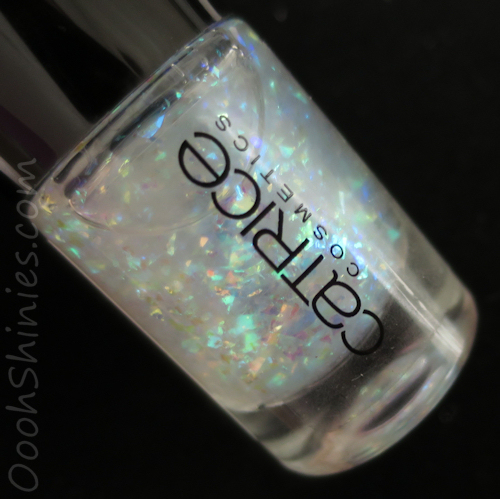 Did you experience the same with any of their glitters? Wonder if some thinner will work!